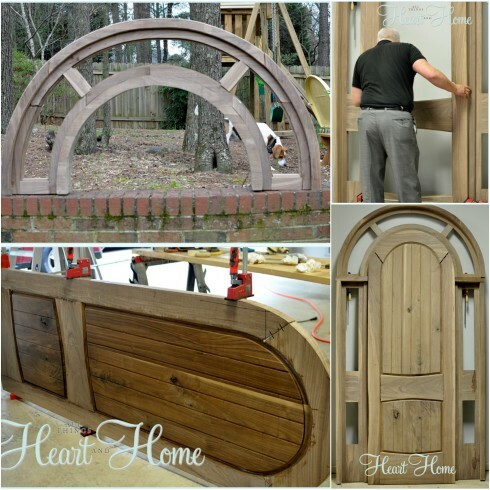 The Husband’s DIY Arched Tudor Door is DONE!!! The moment the relator unlocked the front door on Stone House Lane I said: This door would need to be replaced. Fast forward a little over a year with a dozen big projects behind us and we finally got to the door! We replaced not only the door but the door frame, both were made by The (talented) Husband! 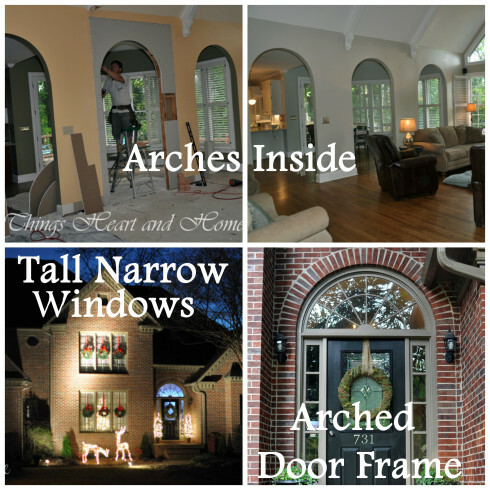 Once we knew what we wanted, The Husband researched and picked out a door he liked online. Then he researched some more and decided to use Walnut. He carefully picked out the wood then..well, he just slowly built the thing! Amazing! After nearly four months of working on the door, last Saturday was Door Day! Early Saturday morning he took out the existing door and door frame.Since we’d never seen exactly what was behind the frame, he had to make a few adjustments. But in the end the new door frame fit just fine! Sending you hugs and smooches today my friends! AMAZING! It is over the top gorgeous! Well done! 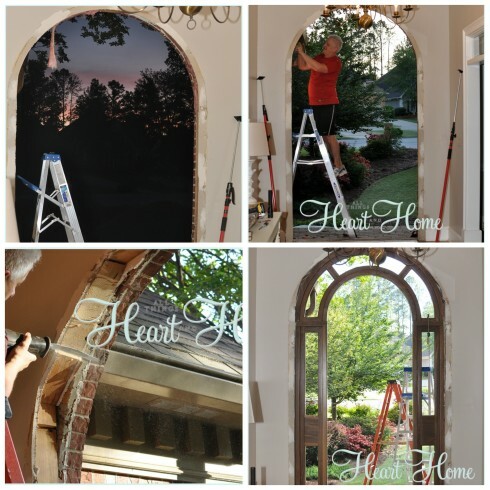 LOVE YOUR NEW DOOR!! Please tell hubby he did a FANTASTIC job!! When I read your first post about the door where you wrote you were replacing it, I wondered, “Why?”. Now I know!! It is so beautiful and gives your home almost a fairytale feel. You are so blessed to have such a talented husband, and he is equally blessed to have such a creative/talented/beautiful wife. Blessings! I’m hugging your new door from here! It is stunning, Robin. And just seeing Mike work so hard, melts your heart. There couldn’t be a more perfect door. Whew–the hours he put into this–definitely, service is one of his love languages. I learned the other day that “craftsmanship” is a gift from God. Y’all are both sooooo gifted in that area. AMAZING!! You two are wonderful DIY’ers. I love your blog I have followed you from your other home to this and boy you and your husband are very talented. Robin I always enjoy reading about your projects and it inspires me to get mine done. We just downsized from a home that is much like your new house we had the same huge kitchen and I wished I had been brave enough to paint the cabinets like you did, everything looks amazing in your new home. 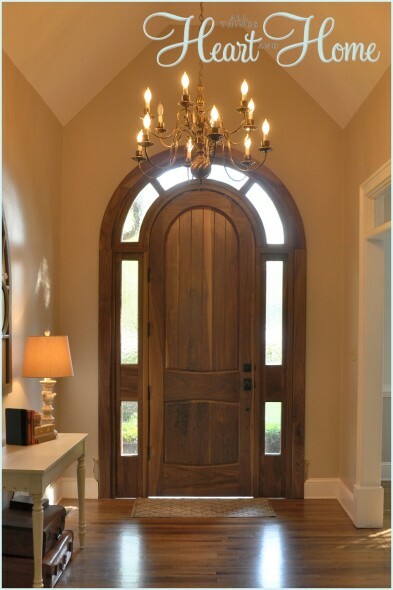 The Tudor style door is just beautiful. 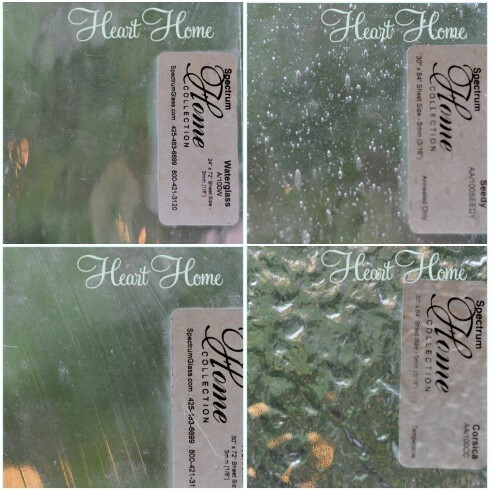 I’m soon to be painting my new home we move in july and I plan on using your poster board paint samples idea. Thanks for sharring Robin. Beautiful. Your home looks so warm and inviting. I love watching the transformation. 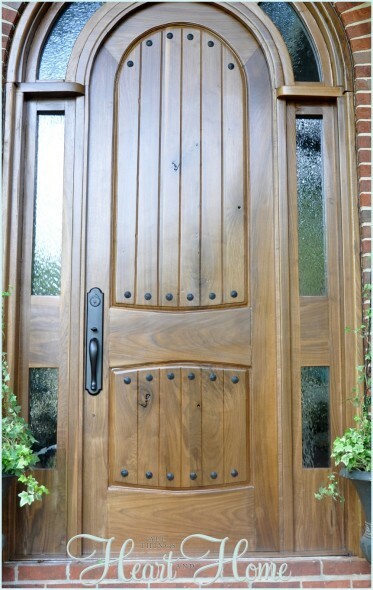 I don’t have enough adjectives to describe how WONDERFUL that door is !!! You have a very, very talented husband !!! Simply beautiful !!!! Judy, who knew??? He surprised me with this project! OMG……that is so beautiful! Your hubs is one amazing man! I am in awe! 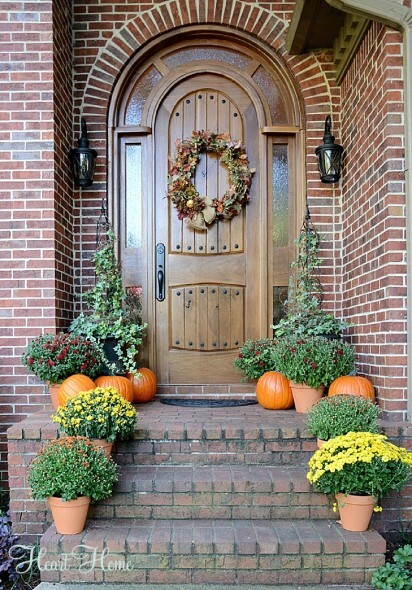 The crowning touch to an already beautiful home. But what makes this so incredibly special is the fact that The Husband made this. I still can’t believe it. Just stunning! The door is fabulous I had forgotten about it. The husband did a wonderful job. Thanks for sharing! The door is GORGEOUS!!! Your hubby is one patient and talented craftsman. Truly a special project of love. Love your home and you. You really make my days and touch my heart. I love reading your blog and seeing your great projects and being touched by the love you share here. Thanks, Robin. 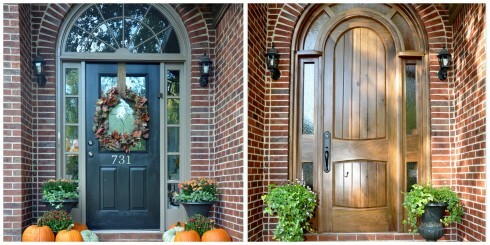 Gina, can you believe how much difference a door can make!!!? smooches and hugs friend! Stunning job!! That door is gorgeous! thank you Tracy B! I love it too. I love this! What an absolutely amazing job your husband did! It’s gorgeous! Elizabeth, I didn’t have any idea he could do something like this! He’s in big trouble now!!! Amazed! Absolutely amazed! I wouldn’t say it was a DIY project though! Your husband is obviously a master woodworker! Again I am absolutely amazed! Looks gorgeous! His BFF is totally impressed!!!! What a blessing to have such a talented and hardworking husband!! The door is beautiful! 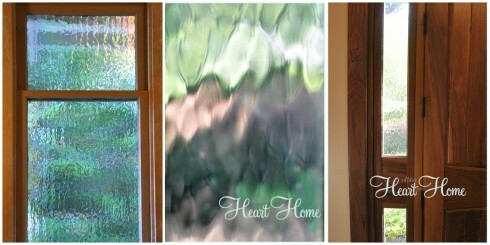 So glad I checked out Hometalk today for the best DIY inspiration EVER! Picking up my jaw off the floor. Your husband is the man!! Need I say more?? 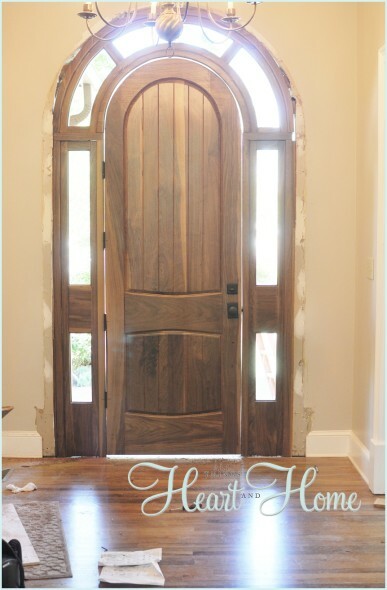 LOVE, LOVE, LOVE the door! You have a very talented husband. 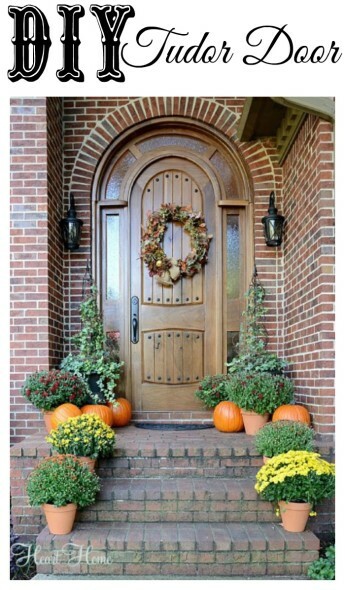 That door and surround is absolutely gorgeous. Please tell your husband he did a superior job! He rocks! Wow, your husband is crazy talented!! He should do this for a living – he really did an amazing job!